Jamie and I started this annual ride last year, so in 2018 we’re inviting all of our cycling buddies to join us. Rolling out at 8AM from Charbonneau in Wilsonville on Northeast Miley Road, plenty of free car parking. Stops planned in Silverton (Roth’s Grocery Store), Silver Falls (South Falls), Silverton. Group ride, no drop, bring water bottles and snacks, although we do stop twice at Roth’s Grocery Store. 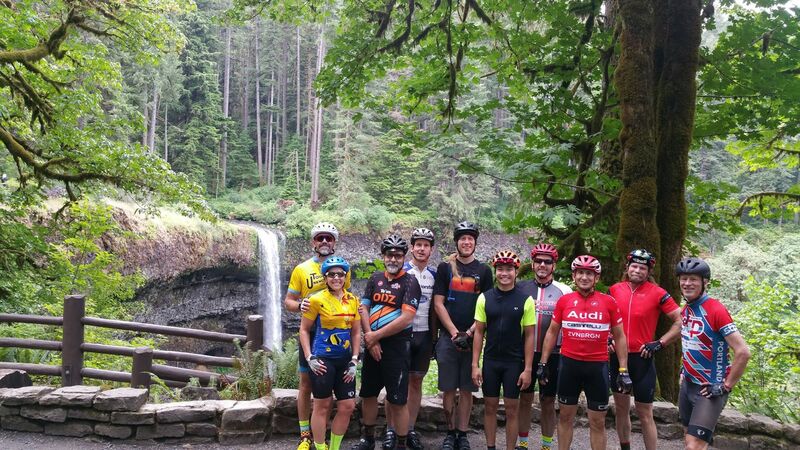 This route goes counter-clockwise around Silver Falls, just the opposite from our July 4th ride. We’re also not riding on I5 this time. Route is here, https://ridewithgps.com/routes/27977320. RSVP by commenting or texting Daniel at 503 806 1662.